Tell Suffolk County about the streets, intersections and other areas where you see opportunities for improving pedestrian and bicycle safety in the areas where you live, work and play. Governor Cuomo and NYC Mayor de Blasio announced a proposal to transform the MTA with a joint endorsement of congestion pricing, a plan to reorganize the MTA and fare enforcement. An adult is 2-3 times more likely to be killed when struck by an SUV than by a typical passenger car. Children have a 4x fatality risk when hit by an SUV than a passenger car. The increased sales of SUVs and small trucks which overrun our streets helps to explain the massive uptick in pedestrian deaths over the past couple of years - not pedestrian distraction. Data and honest safety experts have verified that long-standing common factors in pedestrian deaths, such as alcohol and jaywalking at night, did not account for the recent growth in ped fatalities. The myth of distracted pedestrians is lazy and dangerous. 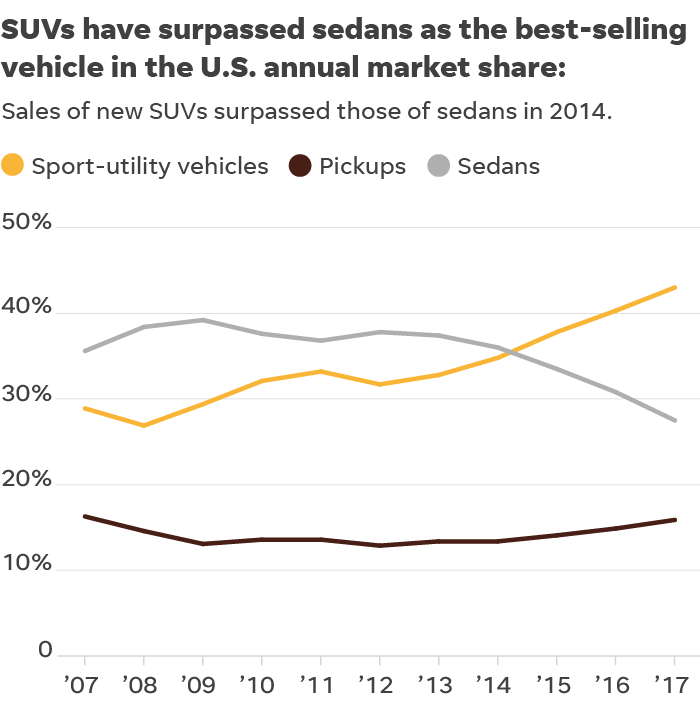 "SUVs and pickups account for closer to 40 % of pedestrian fatalities, which suggests that more severe injuries sustained in crashes are also from these vehicles. According to a recent study, a pedestrian is 2-3 times more likely to suffer a fatality when struck by an SUV or pickup truck than when struck by a typical passenger car. The fatality rate for small children is four times greater. If you're wondering why SUVs, pickup trucks and small trucks are so deady - it's the point of impact being the chest, which will knock you down, versus the leg where you may be more likely to land on the hood. The perils of pedestrianism on Long Island, which seems to be SUV-land, is two-fold: dangerously designed suburban streets and highways + obsession with owning SUVs and smaller trucks. Engineers dropped the ball throughout Long Island, designing wide streets to accommodate painting 14'+ width lanes and intersections so wide that a driver need not remove their foot from the pedal. Residential streets mimic highways, incentivizing speed. This is an update to our April announcement "$12 million awarded for NY P-SAP local call"
Governor Cuomo announced $62 million in funding as part of the governor's five-year $110 million New York State Pedestrian Safety Action Plan, which calls for a systemic approach to proactively address safety issues and minimize the potential for crashes through engineering, enforcement and education. More than $22 million went towards pedestrian safety projects on state roads, which are currently underway, while $40 million is being invested to enhance pedestrian safety on local roadways. Funding is being provided for cost-effective upgrades that greatly improve safety for pedestrians. Upgrades could include the installation of high visibility crosswalk markings and additional signs, as well as signalization enhancements. 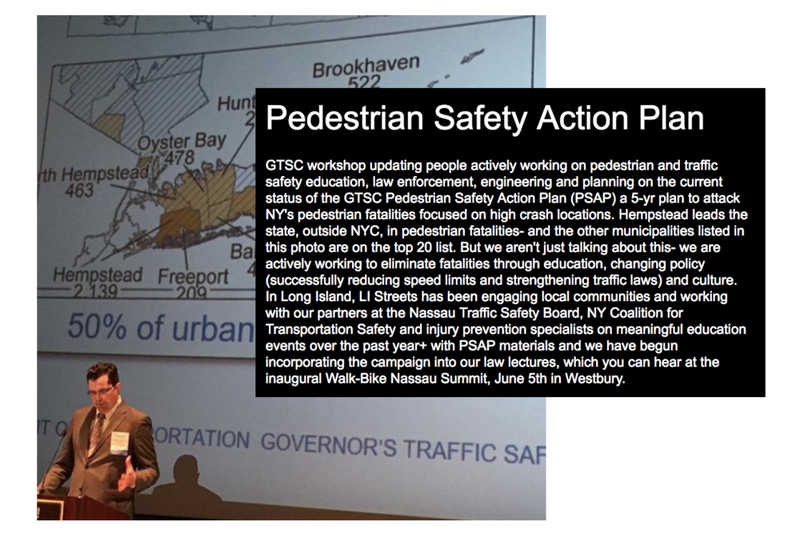 Long Island Streets has been working with Pedestrian Safety Action Plan (PSAP) educational materials and engaging with the Governors Traffic Safety Committee on best practices for bringing the messaging down to and throughout Long Island. In addition, we have engaged with NYSDOT Region 10 and several municipalities on the funding applications to make certain we squeezed the maximum amount of local funding available. Long Island Streets is the only not-for-profit covering Nassau County and Suffolk County actively engaging with local, state and regional agencies on PSAP. What a day! Over 100 students participated in #BikeToSchoolDay at Sea Cliff Elementary School. The Village of Sea Cliff has tremendous community buy-in for all things bikey and walkable, which makes events like this successful. The bicycle racks at Sea Cliff Elementary School are on the front lawn, not hidden to the side or behind the school. Special thanks to the Village of Sea Cliff Traffic & Transportation Committee and Long Island Streets for organizing this in partnership with NY Coalition for Transportation Safety and Cohen Children's Medical Center! People For Bikes rates 480 US cities to determine the best places for bikes. The rankings are based on several factors including ridership, safety, network, reach and acceleration, and uses a variety of data sources. City Rankings is the first system of its kind in the U.S., fully transparent and data driven, making it easy for any community to see how it's doing well and how it can improve. Share the community survey widely to help us collect information about biking in your city.. Find out when the next Community Survey is active here. The Bicycle Network Analysis uses an open-source mapping tool called OpenStreetMap The BNA is more accurate when the bike infrastructure, local destinations and speed limits are up-to-date and accurate in OpenStreetMap. Instructions for updating OSM data can be found here. The City Snapshot must be completed by a city employee or official. Instructions and a timetable for submission can be found here. We have signed up to get notification for when the next round of City Rankings will happen, and will encourage Long Island municipalities to participate. Five Elementary School on Long Island are registered with the National Safe Routes to School list of participants for the 2018 Bike to School Day, May 9, 2018. To learn how to participate in Bike to School Day, check out Walk & Bike to School's website, a program coordinated by The National Center for Safe Routes to School. The City of Long Beach has made drastic cuts to the municipal bus system that went into effect three days after the announcement, with no public meetings. The cuts include terminating Point Lookout Service, terminating the Shoppers Special, cancelling the East Loop and West Loop weekend service, and terminating all weekend access to paratransit service. 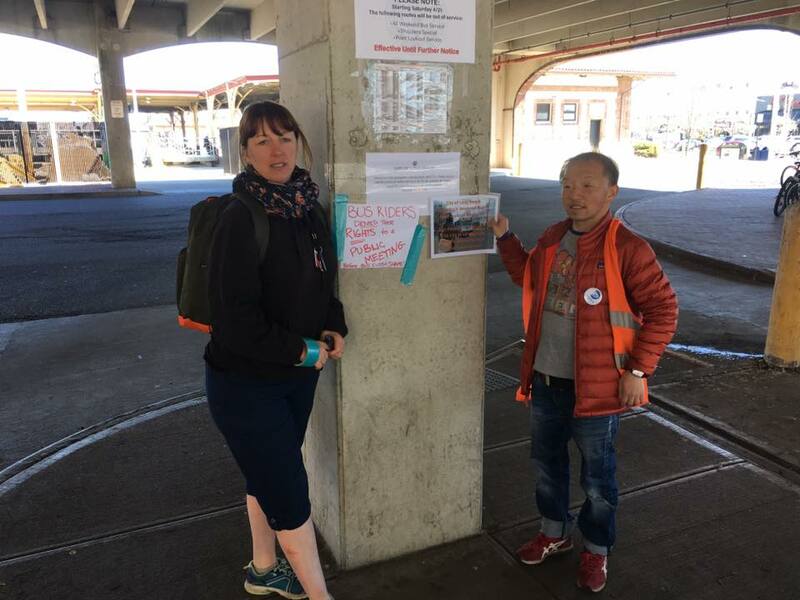 Please consider signing our petition, sharing it and / or volunteering with us to conduct bus rider outreach at the bus station. Long Island Streets is assisting with bus rider outreach, securing signs in Spanish (update: they have been posted), posting signs at bus stops and, more importantly, making emails and phone calls every day to every elected leader. This is not about lack of bus funding, this is about politics. Long Island's state parks expand the island's economy by millions, according to a NY Parks & Trails report. The 21.7 million Long Island state park visitors between April 2015 - March 2016 spent $1.3 billion, adding jobs opportunities in the parks as well as nearby restaurants, stores, hotels and suppliers, from trucking firms to sporting goods stores. $2.9 billion in state GDP. Of this, the economic impacts – which exclude local visitors but include non-local visitors and state government expenditures – total 27,000 jobs, $2.6 billion in sales, and $1.5 billion in state GDP."